If you're looking for accommodation or restaurants in Rhayader or Builth Wells, the Tŷ Morgans Group is the perfect place for you. 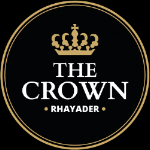 In Rhayader, the gateway to the beautiful Elan Valley, we have restaurants and accommodation available at Tŷ Morgans, The Crown and The Lamb and Flag, along with Evans Diner and Takeaway. In Builth Wells, home of the Royal Welsh Showground, we have a restaurant, The Lamb. We also offer Outside Catering, bringing our renowned reputation to your event. It's perfect for weddings, birthday parties, retirements, business events or funeral teas. Keep Updated with Our Latest news including upcoming events and local news..